Restricted Carbon Modification of 410 that Prevents Hardening and Cracking when Exposed to High Temperatures or Welding. Alloy 410S (UNS S41008) is a low carbon, non–hardening modification of Alloy 410 (UNS S41000) the general purpose 12% chromium martensitic stainless steel. The low carbon and a small alloy addition minimize austenite formation at high temperatures which restricts the alloys ability to harden. 410S remains soft and ductile even when rapidly cooled from above the critical temperature. 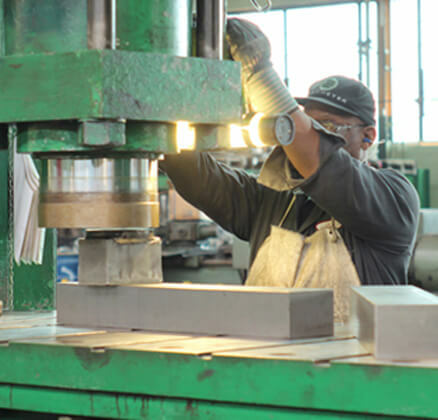 This non-hardening characteristic helps prevent cracking when the alloy is exposed to high temperatures or welded. 410S is completely ferritic in the annealed condition. It exhibits adequate corrosion resistance similar to 410 and good oxidation resistance. Chromium 11.5 min.-14.5 max. Sulfer .030 max. Nickel 0.60 max. Silicon 1.00 max. Manganese 1.00 max. Phosphorus 0.040 max.